When I was growing up, watching the Summer Games (ie, the “games that shall not be named”) on TV every 4 years was EVERYTHING. As in, everything stopped and we watched the events all day, every day. I was fascinated by all of the summer sports. I am so excited about this year’s Games in Rio, partly because my kids are actually into a few of the sports that will be represented in the Games…and partly just for nostalgia’s sake. My oldest son is a runner (both cross country and track & field) and three of of my kids spent the last 2 months swimming competitively. I know that they’ll be glued to the swimming and running events this year. To celebrate, I’ve pulled together a fun, ACTIVE scavenger hunt. Instead of searching for things, they’ll be checking off things that they DO. 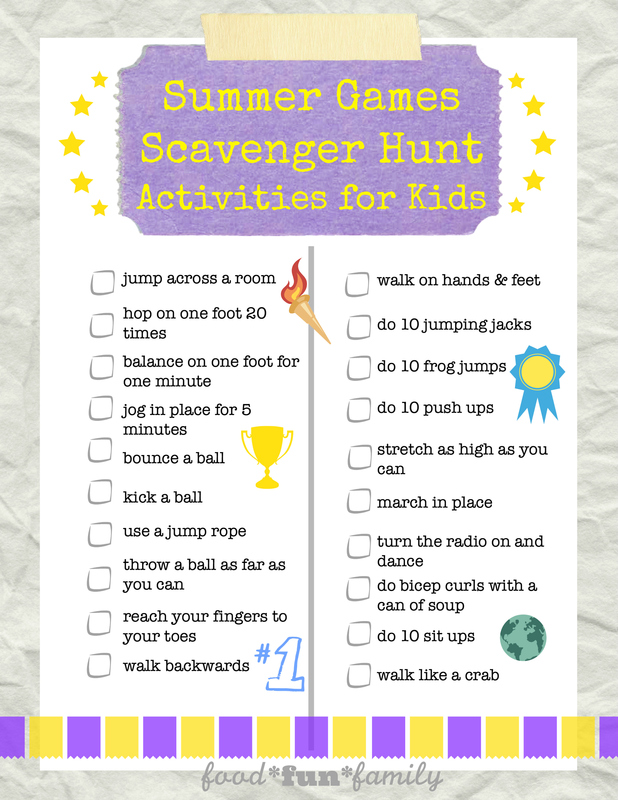 So print off this month’s scavenger hunt, grab a few pencils, and get active! This scavenger hunt is a little different than my others. Instead of hunting for things, you’ll see how many of the activities on the list you can do! You can put on your own Summer Games. Make it a party, invite a few friends over and have fun with it! Simply print off as many sheets as you need, and then go get active! YOU make your own rules. Do each “event” in order, as a team, or compete side by side. There are no rules. Just have fun! 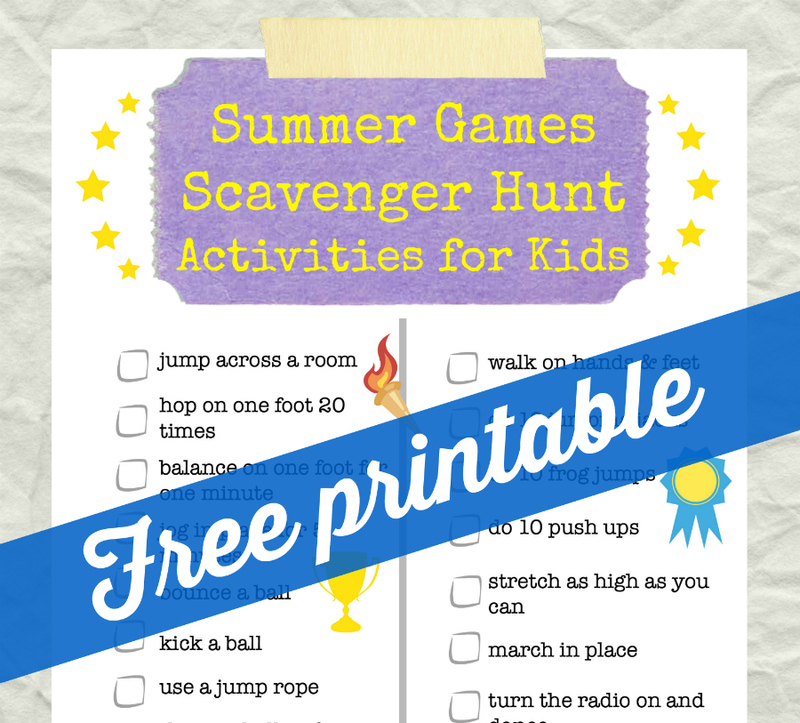 Be sure to check out my other scavenger hunt printables and check back soon for MORE fun throughout the year!